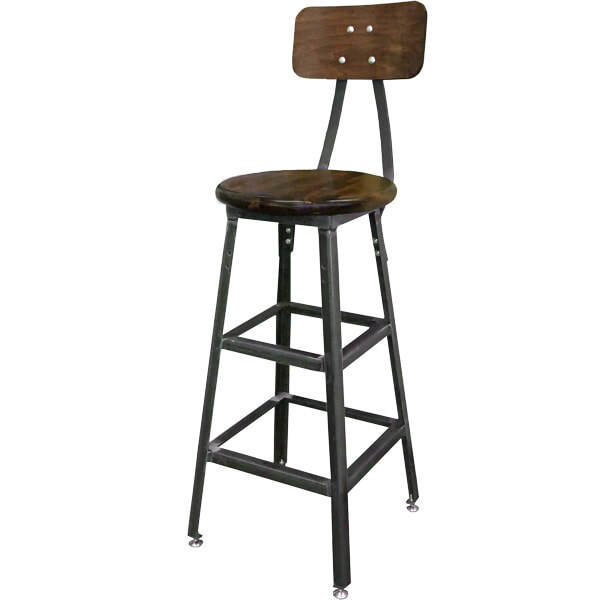 14" Diameter seat is 1-1/4" thick, finished with a Jacobean stain, and coated with a clear polyurethane coat. 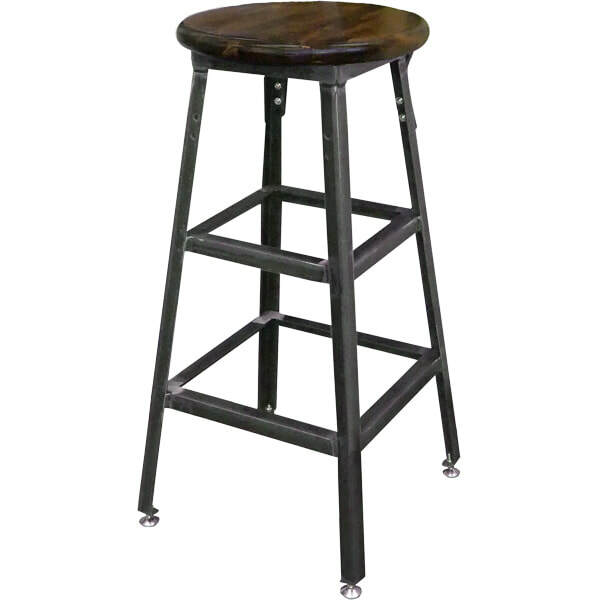 1" x 1" x 1/8" Angle Iron Stool Frame is all welded and coated with a clear polyurethane coat. Nylon bottom leveler glides help protect floors, and provide a small amount of adjustment on uneven flooring. 6" x 12" x 1/2" wood backrest is curved for comfort and stained Jacobean and coated with a clear polyurethane coat. Seat Height: 29.5" O/A Height: 42.5"